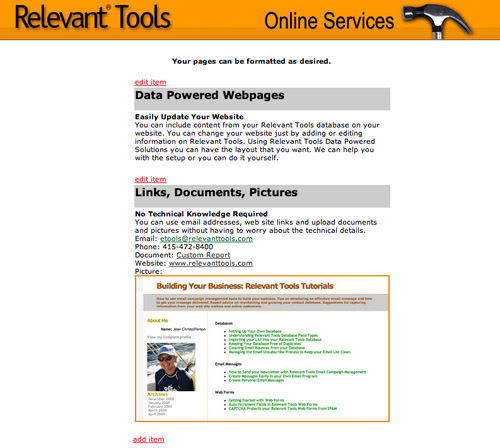 You don’t have to be a technical wizard to display information from your Relevant Tools database on your website. There are many different display options depending on your website and what you need to do. 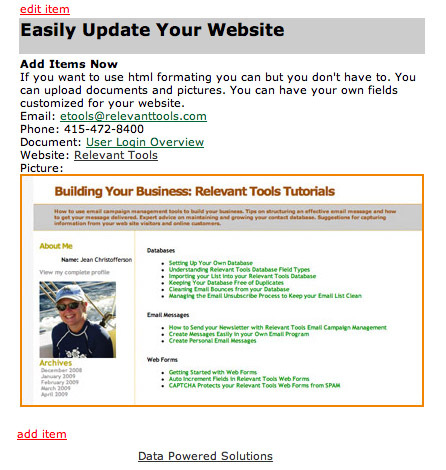 This tutorial shows how to easily update a page on your website from your Relevant Tools database. 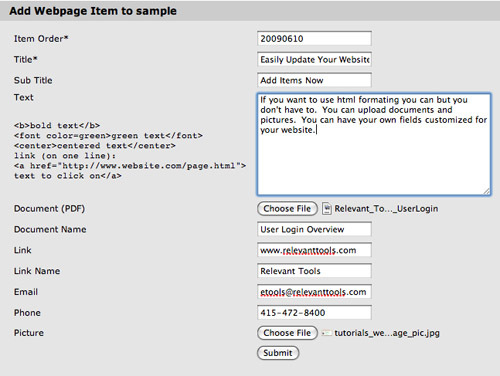 After dynamic powered webpages has been set up in your Relevant Tools account you will be able to preview your webpages. We will work with you to configure the look of the page to match your website and meet your requirements. The elements used on the page are customized for you. 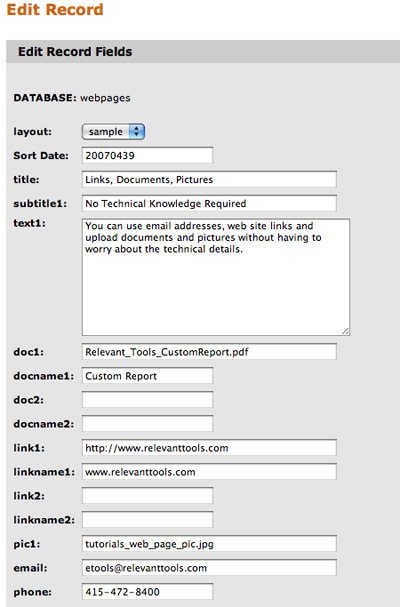 You use the edit item link to edit the information displayed on the webpage. You don't have to know html but if you do you can use all the html you want. How does it all work? It is all driven from an ordinary Relevant Tools database. You can have the specific fields that you need for your web site. Let us know if you would like to learn more about Database Powered Webpages. There is a one time setup fee for installing and customizing this feature but once setup you can use it for multiple webpages.